A wheel is composed of three main parts: the spokes, the rim and the tire. The tire is the outermost surface of the wheel that comes into contact with the road. It connects to the rim of the tire, which is simply the outside edge of the wheel. A tire covers the rim of the wheel to both protect the rim and help your vehicle absorb shock and increase performance. Without all three parts, the safety and performance of your tires would be greatly reduced. 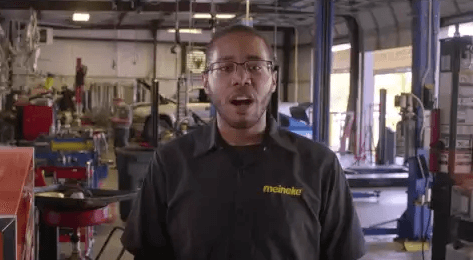 To learn about tire repair service, contact Meineke #545 in Ossining, NY. The question of "why are tires so important?" typically comes up when the need for a tire repair shop arises. It is a question that deserves some thought. Nearly every aspect of your vehicle's performance, including braking, acceleration, steering, traction, and handling, are all largely dependent on tire performance. Issues with the tread, balance, or stability of your tires and wheels could affect your control of your vehicle in an emergency situation. Thus, if you suspect any problems, you should visit Meineke #545 in Ossining, NY for repair or tire change service right away. What are some signs that you need your tires or wheels repaired? Some may seem fairly obvious. A puncture or blowout will typically have you on the computer or phone researching all of your "flat tire repair near me" options. However, there are other, less subtle signs that your wheels or tires are in need of service. One may be if you experience issues with your vehicle's performance, such as a noticeable shaking in the steering wheel or the entire vehicle whenever you go above 40 mph. Another may be uneven wear across the tread of each of your vehicle's tires. A quick balance or tire rotation service done at Meineke #545 in Ossining, NY can help you avoid ending up getting stranded on the side of the road. Have you ever noticed how well your vehicle's different component systems work together? Unfortunately, they tend to deteriorate together, as well. You'd be amazed at how trying to avoid a simple tire repair cost can result in extensive damage to your vehicle. That's because unbalanced tires lead to increased wear on certain wheels as they try to support extra weight. Not only does this speed up their wear, but it also can affect your vehicle's suspension as it tries to compensate for this imbalance. Rather than allowing this to happen, research your "tire repair near me" options to find Meineke #545 in Ossining, NY. While proper care and maintenance can extend the life of your tires, a trip to your local repair shop for new tires is inevitable at some point. The key is knowing when you should bring your vehicle in for servicing so that you can prevent worn tires from affecting other vehicle systems. At Meineke #545 in Ossining, NY, we recommend replacing your tires at least once every 10 years. Sometimes, replacement needs to be done more frequently. Bringing your vehicle to us for regular inspections will allow you to spot major issues before you end up stranded on the side of the road. If you are in need of new wheels or tires, searching for "flat tire repair near me," may not always give you the best results. At Meineke #545 in Ossining, NY, we are always willing to go above and beyond to ensure that our customers receive the best service for the lowest prices. We often offer tire rotation coupons and other deals to keep tire replacement cost low. Save yourself time and money by bringing your car to Meineke #545 the first time you are in need of repairs. Our professional technicians always take pride in their work, so you can be sure you are only getting the best possible service.